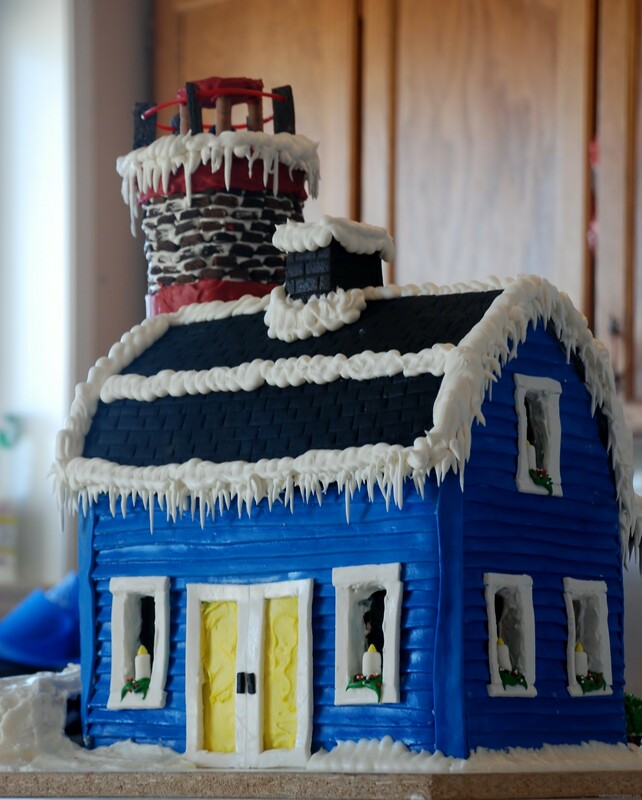 Looking to really do something different I thought big for this seasons gingerbread house. I was thinking light house! Now just the light house alone took just over 10 hours to build. I never did a count of the bricks, no time for that. And I have to say, I was extremely pleased with house the brick work turned out. I tried a few new techniques this year. One was pouring sugar for the ice surface. Again, I was very pleased with the look of the ice. I also used gelatin sheets colored with edible marker for stained glass windows. Being it was The Off Season Santa and his lovely bride were on the coast taking a relaxing break after the Christmas rush. Then things slowly started getting out of control. And it went from bad……. And ended up as a case of too much of a good thing. Really looking back at it it could have done with some serious editing. Still, I was pleased with how the build went! It is a good day when you can raise money for charity with sugar and flour! Next Post - Next post: 16 Hour Slow Smoked Pulled Pork.